HUNTINGTON, W.Va. — A near-perfect Homecoming. 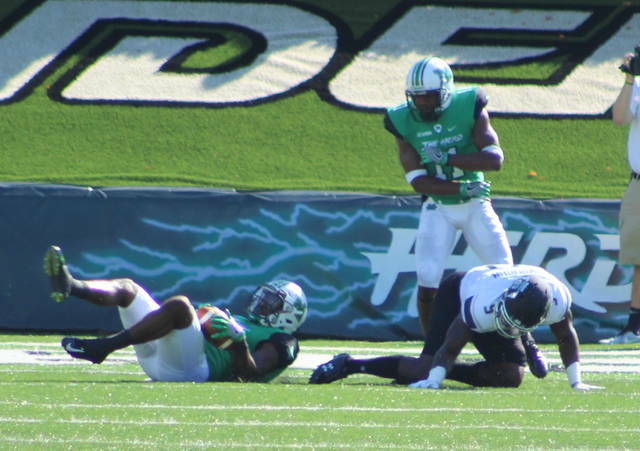 After nearly a month of road games, Marshall made a triumphant return to Joan C. Edwards on Saturday following a 35-3 victory over visiting Old Dominion in a Conference USA East Division gridiron contest in Cabell County. 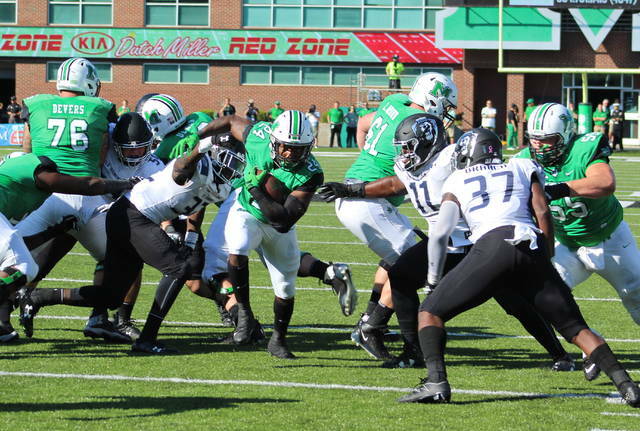 The Thundering Herd (5-1, 2-0 CUSA) overcame an early 3-0 second quarter deficit by reeling off 35 unanswered points en route to picking up their fourth consecutive victory of the 2017 campaign. 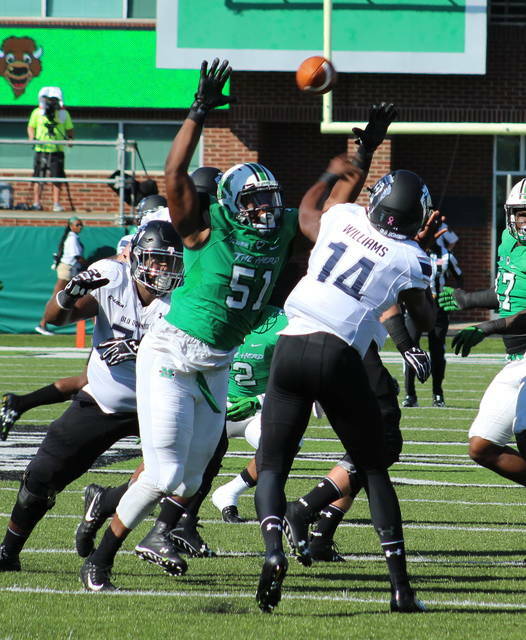 The win also allowed MU to celebrate its fifth straight victory on Homecoming weekend. 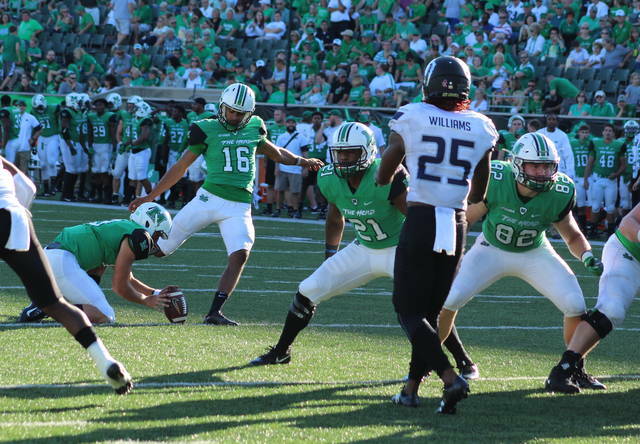 Quarterback Chase Litton threw three touchdowns passes — two of which went to Tyre Brady — and Tyler King added a 30-yard TD run in the third quarter as part of 195-yard rushing effort by the Green and White. The Monarchs (2-4, 0-2) were outgained 371-197 in total yards of offense and also ended up minus-2 in turnover differential while dropping their fourth consecutive decision. 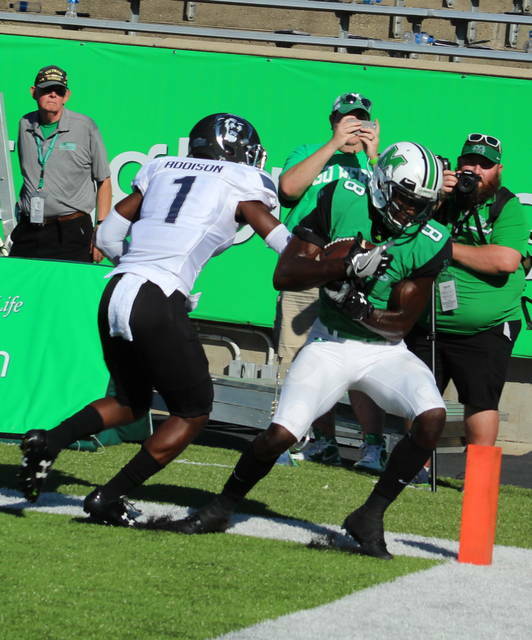 One of those ODU miscues, a fumble during a fourth quarter kickoff return after a Marshall touchdown, turned into a fumble recovery and a 15-yard touchdown run by Chris Jackson — which allowed MU to double its lead from 14-3 to 28-3 in the span of seven seconds. 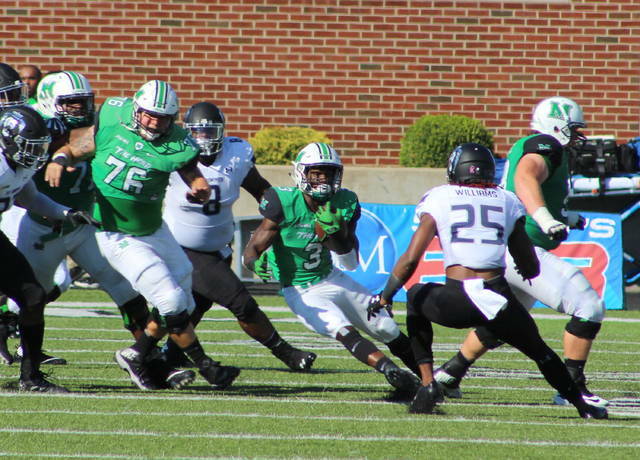 Ryan Yurachek hauled in a 31-yard pass from Litton with 10:49 remaining to wrap up the 32-point triumph. 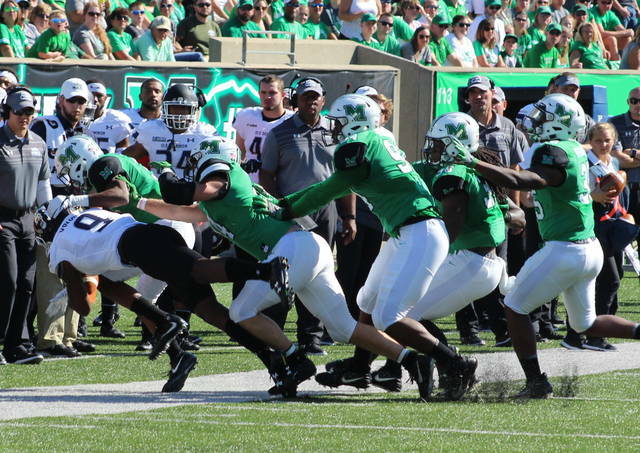 Marshall has now gone eight full quarters without allowing a touchdown and has surrendered only six points over that same two-game span. 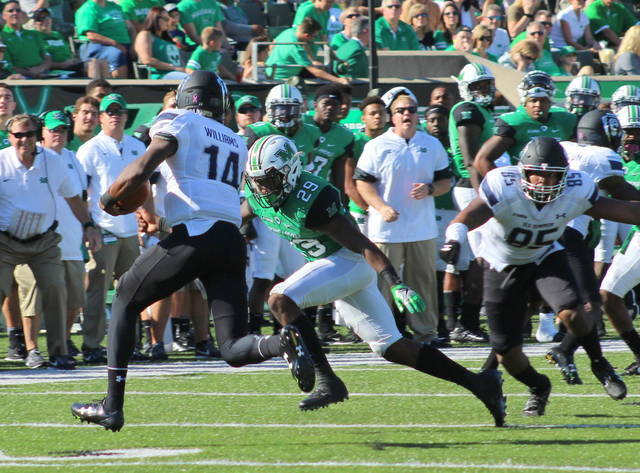 Kaare Vedvik set both a program and a Conference USA record with a 92-yard punt in the first quarter, which ended up resulting in a touchback for a net of 72 yards. 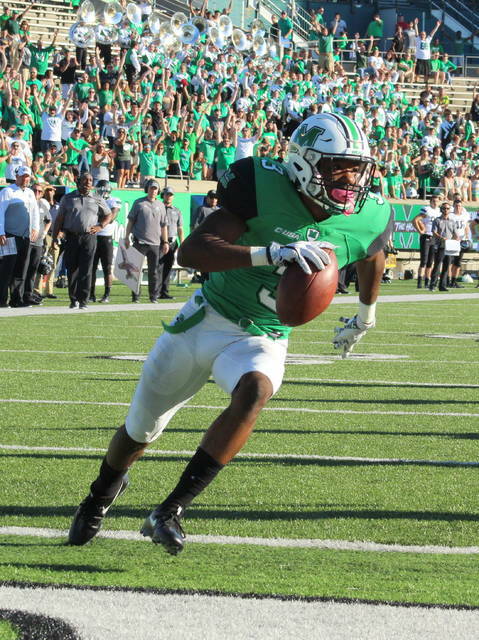 The previous Marshall record was 79 yards set by John Arnold against Temple back in 1974. Nick Rice booted a 24-yard field goal with 8:47 left in the first half to give ODU a 3-0 advantage. A complete recap of Marshall’s Homecoming victory over Old Dominion will be available in Tuesday’s edition of the Point Pleasant Register.